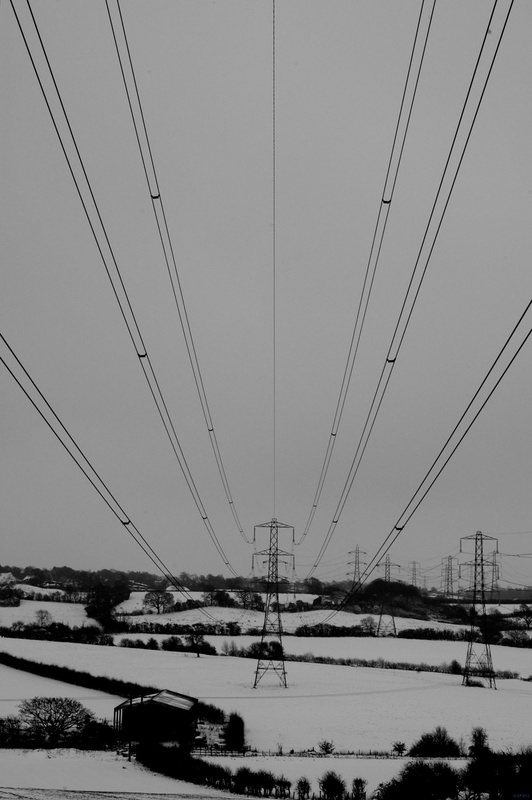 I don’t like electricity transmission towers – to me they intrude into the landscape. That said, on a ‘black and white’ day, when you’re looking for patterns, you can find a certain symmetry about these objects. On the top of Wheating Hill, you can get uncomfortably close to the power lines, enough to make you believe the hairs on your head are standong up, with the only sound you hear being the pervasive deep hum emanating from the lines themselves.